At Slots Jungle Casino, we are dedicated to enforcing responsible and legal gaming policy. We want our customers to feel safe and secure when playing in our casino, and that mission is reflected in our fair principles. For example, we encourage all of our players to practice responsible and controlled gaming habits to avoid addictive behavior, and we include pointers and warnings on our site with this in mind. For instance, all individuals should have a strategic gambling plan in place prior to playing. This means setting up a budget and a gambling schedule, in order to make sure you don't exceed your financial limits or shirk your other responsibilities in order to gamble. We also provide support and resources for those who have developed problematic gambling habits. Our fair principles gaming policy at Slots Jungle Casino also extend to our software design. We use random number generators in all of our game structures, thus ensuring that games are completely fair and that outcomes are unpredictable. This prevents individuals inside and outside the casino from hacking or cheating the system. We also allow our customers to view all of their financial transactions and playing history, since honesty and transparency are both part of our business's mission. 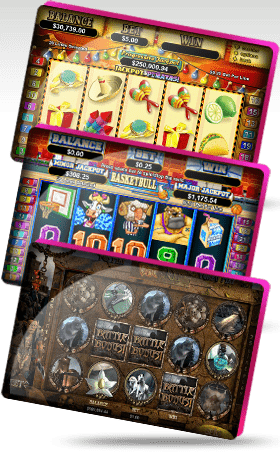 We also offer a reliable customer service line, with representatives who can help address and resolve issues in a timely manner, so that no player feels as though the casino is trying to scam them. Finally, at Jungle Casino we are very strict about not allowing anyone under the age of 18 to gamble with us. We require all individuals to enter identifying information prior to entering the site, so we can verify ages and legality. We also encourage parents and guardians to install security monitoring or parental control software on their computers, to prevent underage children from accessing the site. Our goal as a business is to ensure that all gambling practices and casino members are legal, and that everything that goes on in the casino is above board. If you have concerns about anything that is happening on the site, do not hesitate to contact our customer service representatives to report any suspicious behavior.